A few years ago, Two Morrows published a very fine Modern Masters book on one of my favorite artists, José Luis García-López. One of the great DC artists during the past 25 years, he hasn't worked on that many series, and not much was known about him until this book came out. 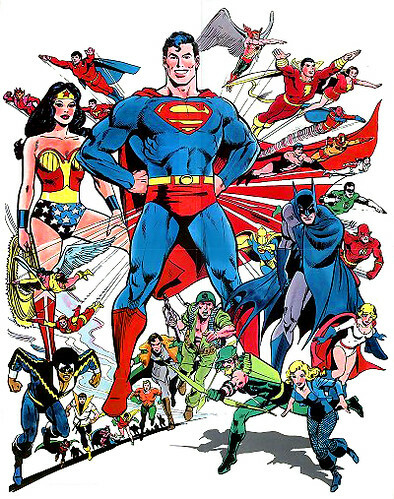 García-López had been away from the comics pages for years, doing various special projects for DC Comics, such as drawing the DC Style Guide for licensing and merchandizing. A lot of this artwork can be seen in DC licensed products you might purchase today--I have some Superman coffee mugs that are clearly Lopez drawings. 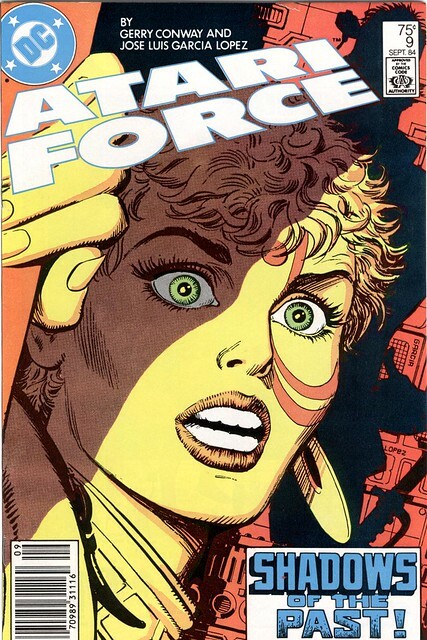 In the 80s he did some great work on Superman (in DC Comics Presents), a Deadman mini-series (that resolved plot threads from Neal Adams' original run), but his longest running regular series was Atari Force. During the 80s, Atari was synonymous with video games. DC partnered with Atari (since they were both owned by Warners) to produce comics based on various Atari games. 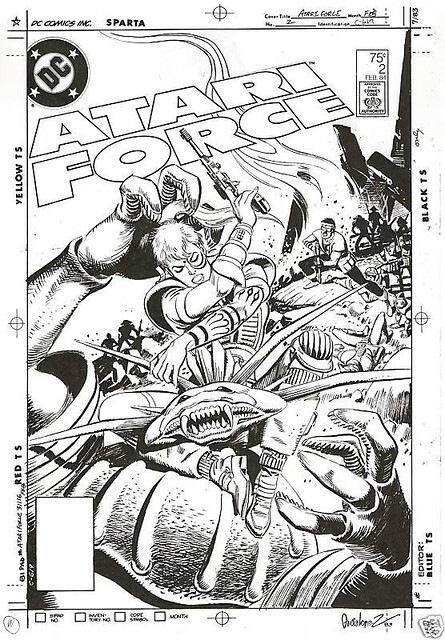 One was a graphic novel called Star Raiders (also wonderfully drawn by García-López), but Atari Force the regular color comic series still brings back fond memories. Written by Gerry Conway, it told the story of a group of descendants from earlier mini-comics distributed in Atari video game packages. The star was Dart, a female of mixed Indian-Japanese heritage who opens issue #1 with her lover, Blackjack. They are mercenaries, mixed up in a war with a former employer, bouncing out of one scrape to another. I love Lopez' design for Dart, and how he draws her in action throughout his run. Dart has a brother called Tempest (the name of my favorite Atari video game) who can transport himself between multiverses. You can almost say he "jaunts" like in Alfred Bester's Stars My Destination, but it's even more fluid as he can just send his fist through a wormhole. 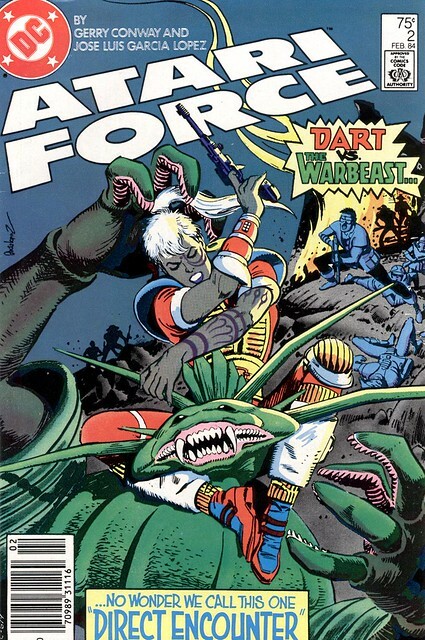 Tempest was clearly meant to be the star of Atari Force, but Dart overpowered him from the first issue. Art-wise, I loved everything García-López did on this series, from the character design to the worlds they visited. Story-wise, I always remembered Dart and her lover Blackjack. Conway plotted an initial twelve issue arc that took the couple on a wild journey. In one issue, Dart is forced to leave Blackjack in space (a scene that also reminded me of Bester's novel). Later, Blackjack returns and is reunited with the team, only to turn on Dart violently. Re-reading the entire 20 issue run, I can say that only this arc is still worth re-reading. 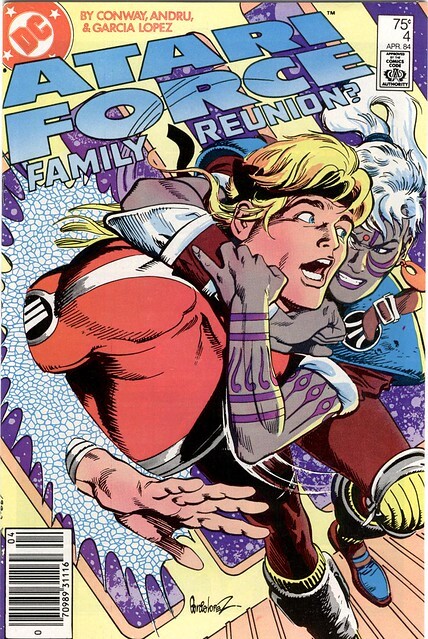 After Conway and García-López left the series around issue 13, it quickly lost momentum and lasted only 20 issues, plus one annual in 1986 (which featured art by Marshall Rogers). For you Atari or García-López lovers, this may be worth scouring the back issue bins. It's highly doubtful that it will ever be reprinted or revived. Nuff Said! Originally published on Photon Torpedoes on Dec 13, 2005. Link: Jeremy Radisich Gallery on ComicArtFans. 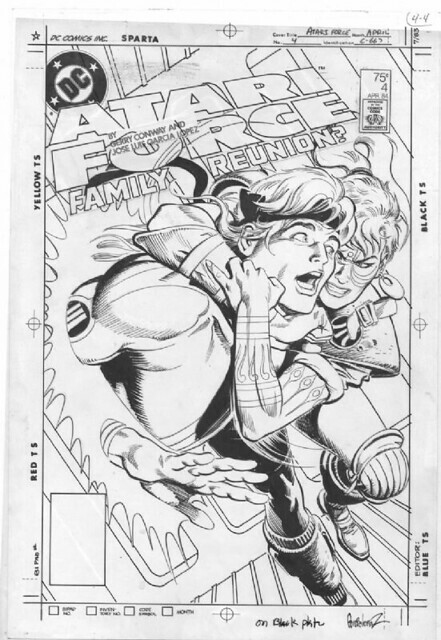 Link: Michael Bair Gallery on ComicArtFans.